A fragrance of jasmine flower wafts into my nose. I close my eyes and see blossoms in full bloom. It is spring-time, the time of prosperity. Then I open my eyes again and see a mountain of rubbish that is placed across the street. My new nose plugs which I have just bought in the supermarket are certainly effective. Last month, I was in Zhuhai（珠海) which is located at the pearl river delta near Hong Kong（香港). A friend suggested I should get these scented nose plugs that were regularly advertised on Hongkong TV channels. They would make my stay in China much more pleasant, he told me. So I bought not just one, I also chose some special scents of daffodil, bergamot and cedar wood. 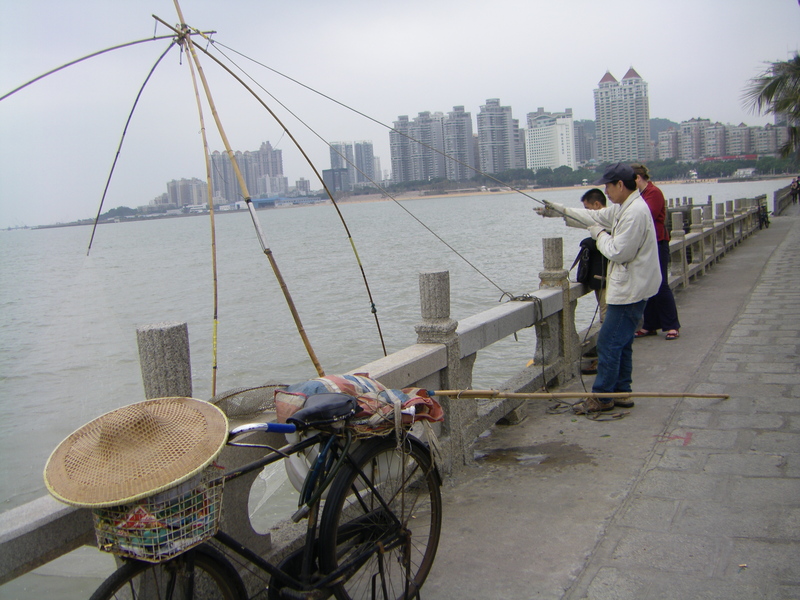 Zhuhai’s smell is heavily influenced by the breeze that brings the sea air to your skin and also your tongue. Standing at the shore, the taste of salt was present in my mouth, but in my nose I had the odour of the jasmine flower. I took the plugs out of my nose and put them in my pocket. A deep breath of the salty air brought me a feeling of peace. I decided that I needed one more nose plug for my journey to northern China: beach aroma. On the way back into town I passed the fruit market. 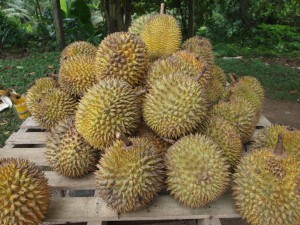 One of the main fruits on offer was the stinky durian fruit. The vendors cut the fruits in small pieces and hold them out to my face. Nearing the meat market, live animals added their odour to the smell mix. But the durian fruit really stood out in my nose. So I put the plugs in again. 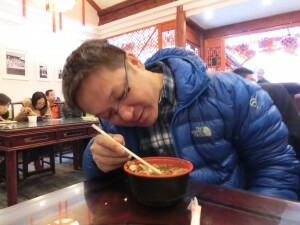 Some weeks later I arrived in Beijing（北京). I immediately noticed the difference. For one thing, the air here is much drier, and also the area is much more populated. The huge crowds of people create the base for a really unique city smellscape composed of small street vendors offering fried or baked goods, antique sellers with musty books or silks, and even the garbage men wandering the streets with their tricycles, gathering up the refuse of the city’s inhabitants. On entering a temple, though, this scent disappears under a layer of incense that permeates the whole area. It has soaked into curtains, pillows, and even the wood of the buildings, giving these places of worship a unique atmosphere that you take in – from an olfactory perspective – unconsciously. One night in Beijing when I explored a Hutong (胡同), a small street with traditional buildings in one of the oldest part of town, I felt transported into another world, the China of the past. 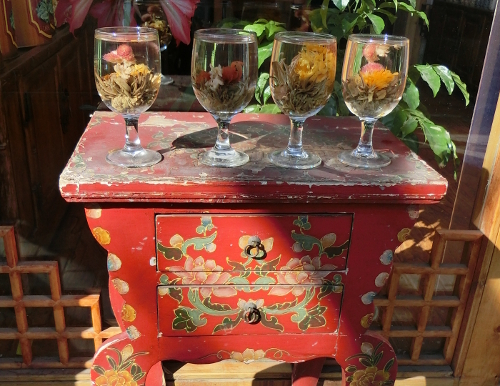 To my left, there was a tea shop offering exquisite varieties of tea from all over China. 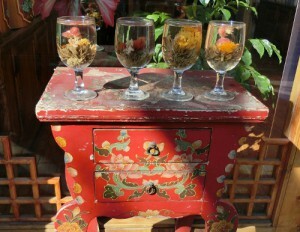 To tempt the passing customers, some glasses with brewed teas were placed at the foot of the front door. 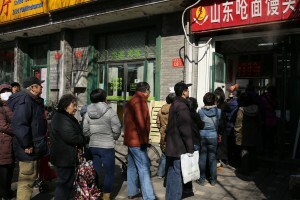 A few steps further there was a shop selling steamed buns where people lined up to get their lunch. The smell of the freshly baked buns mingled with the perfume of the women who came to buy them. In front of a shop offering silk scarves and clothing, a street vendor set up a mobile kitchen, frying skewered meat for his customers: beef, chicken or pork. Charcoal and roasted meat combined to create a scent that interacted with the taste buds, making my mouth water. Further along I saw a shop offering soups and jiaozi (饺子), the traditional Chinese dumplings, and I decided to sit down and try some. Opposite me sat a young Chinese man who told me that his father could actually hear the flavour of the jiaozi. If he wanted to test if they were ready to eat, he would hold his ear over the bowl. The young man found out that he inherited this habit from his father. 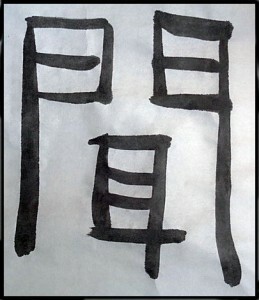 “Did you know that the character wén (闻) means both: to hear and to smell?” he asked me. Without waiting for an answer he dipped one of his chopsticks in the teacup and then he drew the character 闻 on the table: an ear in a door. Back on the street, an unpleasant whiff came to my nose when a garbage man passed me by. He had collected some of the neighbourhood’s trash. After a few days the things I miss most in Beijing are the scents from the South China sea and I remembered the nose plugs in my pocket. The beach aroma with its certain smells transported me immediately back to Zhuhai. Now I wore those plugs every day, no more smell of garbage or from the clouds of car exhausts in the narrow streets or the smell of the stinky tofu which the vendor wanted to sell from his tricycle. Once I pass a flower vendor, and that is when I realized that I smelt nothing but the beach aroma of my nose plugs. So I took them out and I was hit by a wealth of smells: The flowers of the street vendor, the sweet potato a child is eating nearby, the paint from the work being done next door. Somewhere in the neighbourhood someone had already started cooking dinner, and the roasting meat and spices reminded me that it was time for me to get back to my hotel. This was the moment that I realized how much all the artificial aromas had been: manipulating my nose. The use of the nose clips covered up the natural smells and it transformed my perception of each city. The original scents with all their different nuances which would normally come into my nose were lost to me. On my way back I saw a trash can, and on an impulse I threw the nose plugs away. I decided that I do not want this kind of aroma therapy. I would never again miss the stimuli that hit my olfactory sense. It is better to sometimes experience a bad smell than to miss all the good ones. This article was first published at Global China Insights No. 03/2014 page 21, by the Confucius Institute Groningen.